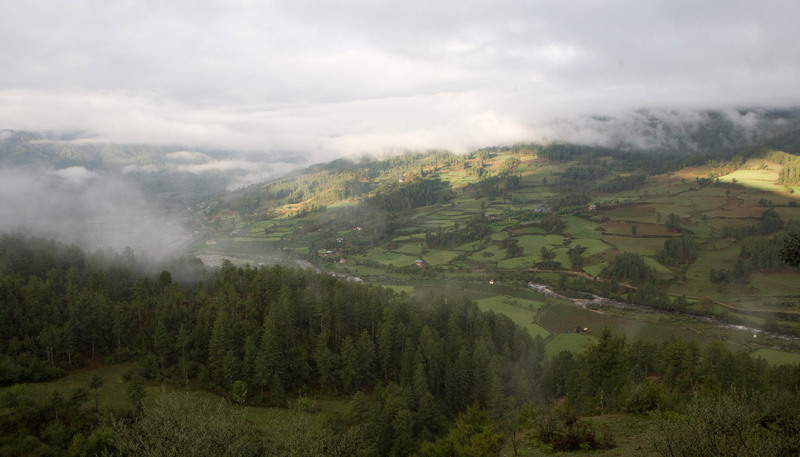 The name Bumthang means many things but the definition that intrigued me the most was the 'valley of beautiful girls'. 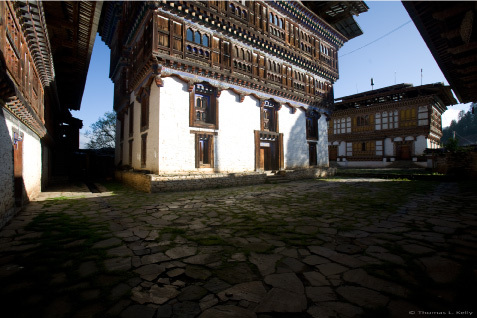 The Bumthang Valley in central Bhutan is a traveller’s delight as it reeks of culture with its historic palaces, temples and monasteries. I spent the day walking and exploring this beautiful valley as I dropped in on the Kurjey Lakhang, Jakar Dzong and Wangdichholing Palace. Kurjey Lhakhang is named after a body print in the rock made by tantric master Guru Rinpoche while meditating there. The imprint is preserved in a cave in the oldest of three buildings that make up the temple complex. Below the roof of the first temple, built in 1652, is a magnificent white lion in the clutches of a Garuda that is an artistic representation of the Guru’s struggle with the local demon, Shelging Karpo. This struggle is forever imprinted on the belief systems of the Bhutanese and it is common practice for them to crawl through a narrow rock tunnel at the entrance to the lower floor to leave their sins behind. As you may have observed, the ritual of cleansing one’s sins is something that the East takes most seriously, no matter where you go. The entry to the Wangdichholing Palace was restricted but I got a glimpse of its five giant water-driven prayer wheels placed inside its chortens and with this stupendous view, I could only guess at the splendour inside. The Jakar Dzong is the largest of its type in Bhutan. This “castle of the white bird” was built to commemorate the defeat of the Tibetan invasion in 1644. I heard a lot of talk about the upcoming Nomad’s Festival in Bumthang. For its inauguration in 2009, many locals gathered here and carried local wares with them. 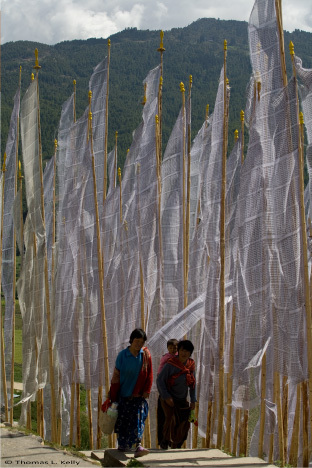 This festival promises to be one of Bhutan’s main festivals and a must-see.